UW Kenya runs the admin work in Kenya for UW’s projects and studies in Kenya. 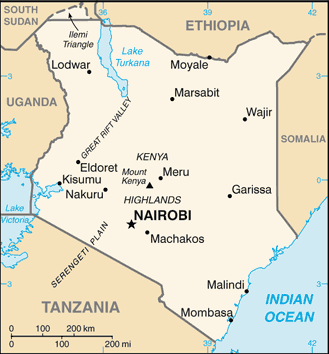 A University of Washington (UW), Kenya Research Program (KRP), Center For AIDS Research (CFAR) collaboration to facilitate information/ resource sharing for clinical research in tuberculosis. The International AIDS Research and Training Program (IARTP) was established in 1988 with funding from the Fogarty International Center, National Institutes of Health, with the goal of fostering international collaborative AIDS research through scientist exchange. The Afya Bora Consortium Fellowship works to fill the identified gap in training for African and U.S. health professionals working in global health. This innovative fellowship will prepare African and U.S. health professionals to lead and manage major health programs in their own countries and will develop a sustainable training program owned by a South-South Consortium which will improve delivery of health-related services and may counter emigration of African health professionals. The University of Nairobi (UON) has formed the Partnership for Innovative Medical Education in Kenya (PRIME-K) in collaboration with two of its longstanding training partners, the University of Washington (UW) and the University of Maryland Baltimore (UMB). The overarching goal of PRIME-K is to strengthen and build the clinical and research capacity in HIV and other diseases commonly encountered in patients living with HIV at the largest medical school in Kenya, the University of Nairobi, and thereby improve human resource capacity for health and health outcomes in Kenya. The Global WACh Center aims to contribute to scientific discoveries, develop and nurture future leaders in science and foster collaborative approaches to improving the health and well-being of women, children and adolescents throughout the world. As part of this commitment, Global WACh is offering seed research funds for the development and implementation of innovative and collaborative research in priority areas related to women’s, adolescent and child health. TREE is dedicated to addressing the health needs of people living in resource-limited settings through quality medical care, academic research, training and education.